Simone MAHLER has a treatment called Hydraluron. This treatment is aimed to boost and maintain skin's moisture level. The products used will help to hydrates the skin in surface and in depth with Hyaluronic acid. With Glycerin & Vegetal oils complex, the skin is being soften and protected. 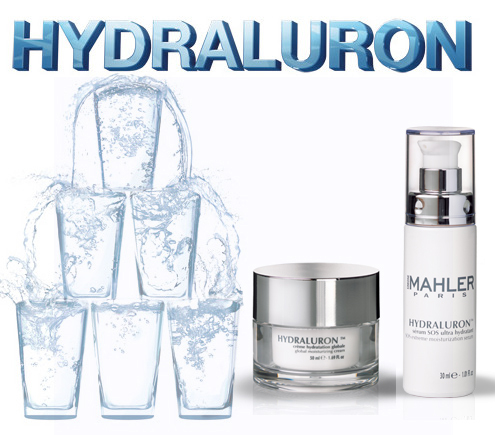 Hydraluron treatment also limits water loss by strengthening cells cohesion and reconstituting the NMF level. Eventually, the hydrated skin can helps to prevent skin ageing. EGF(Epidermal Growth Factors)-Repairlift contains Matrikines and Myrtle extract, which help to obtain a smooth, regenerated and visibly younger skin. This treatment helps to reinforce the skin's youthful appearance and providing comfortable moment throughout the treatment process. This is an anti-aging treatment which can significantly reduce on the number and depth of wrinkles with 11% of EGF compound that prolongs the lifespan of skin cells and improves their metabolism. The demonstration of the EGF-Repairlift and Actilift 3S machine were done by Ms Arielle Girault. She is a Training Manager from Simone MAHLER International with 26 years of experience in training and development of Professional Dermo-cosmetics treatments. Ms. Arielle removed Jenny's makeup with Demaquillant Waterproof for lips and eyes. Gently press on the eyelids and remove the makeup with a swipe. Demaquillant Waterproof for lips and eyes. It is a waterproof makeup remover which leaves no greasy feeling on the skin. It has mallow and liquorice extracts for a skin soothing effect. Put on the Tonic bleu lotion and pat the lotion onto the skin. Wipe off the excess by placing a tissue on the face. Tone and soften the skin, giving the skin a refreshing and soft look. That was a face scrubbing tool. Once Ms Arielle glided the tool on the face, there was a steam flowing out. Could not remember exactly the description but all I could remember was the tool will release water vapour once the tool glided on the face. The hot towel was used to soften and relaxed the skin as well as prep up for the next step. EGF-Repairlift Serum was applied onto Jenny's face. Then, Ms Arielle used pinching technique to stimulate and lift up the skin. The pinching massage lasted around 10-15 minutes if I am not mistaken. After that, Masque Biocellulose was applied on Jenny's face. This mask fits tightly onto the face and provides a deeper penetration of beneficial ingredients. After putting on the mask, Ms. Arielle applied EGF-Repairlift Creme on Jenny's face. Smooth away wrinkles and fine lines, stimulate and protect the skin from signs of aging. Revitalize and reinforce visibly on the skin's youthful appearance, giving a more glowing, supple and plumped look on the skin. Actilift 3S machine is then being used. 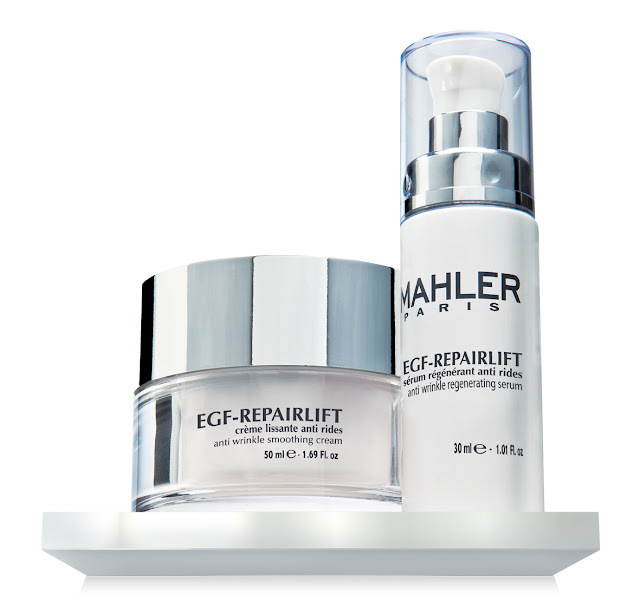 There were 4 stages in total for EGF-Repairlift treatment. Lymphatic drainage and increase product penetration and effectiveness. Improved facial circulation for deeper ingredient absorption. Smooth the fine lines and wrinkles according to the nodes. Firming up the skin's elasticity. The mask was removed and Ms Arielle applied eye cream around the eye area. Look at Jenny's face, isn't her skin look glowing? I did touched her face and her skin felt supple and soft after the EGF-Repairlift treatment. A group photo of the bloggers and Ms Arielle Girault. Thank you so much to Simone MAHLER for a mini package of these products. I handed them to my mom because I felt they are more suitable for her. Psss, do you know the Lilac Box always have this kind of awesome workshops for the subscribers? They have an upcoming one on Sothys so head on to their sites and check out on these awesome workshops.